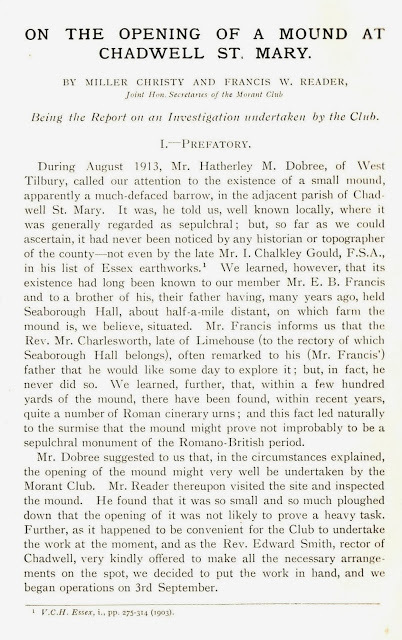 In August 1913, members of the Morant Club excavated a small mound in the north of the parish of Chadwell St Mary. The finds were of little consequence – bones, medieval pottery sherds and oyster shells. 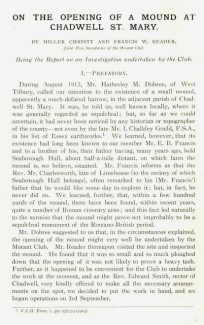 They concluded that the mound was probably medieval, but was too small and low to have been intended for a windmill. The mound had been built on a former gravel pit, but the excavators could not offer any explanation for this.